My husband is one of 8 children, so every 7 years it is our turn to host Thanksgiving. We’re up this year but our oven wasn’t. Sure it worked and could roast a turkey, but it wasn’t….pretty. The wall oven is over 15 years old and it is indestructible. 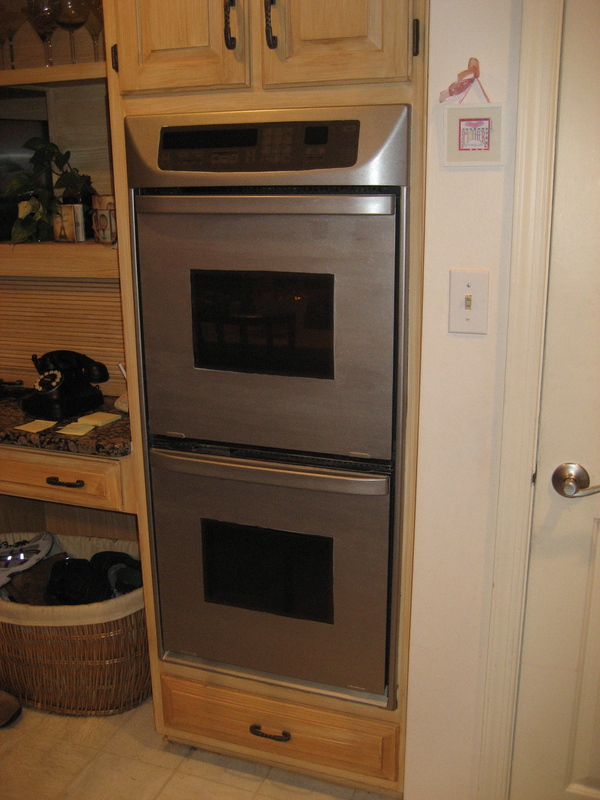 While all of the other appliances in the kitchen had broken down and been replaced with shiny new stainless models, the white and tinted-glass oven stood firmly in the wall, refusing to budge, break or give up. I hated it and concocted sneaky ways to “break” it…until I watched an episode of Cool Tools on the DIY Network. I realized I could camouflage it and force it to match its shiny kitchen counterparts. All I needed was an afternoon and my new best friend, Stainless Steel paint. Liquid Stainless Steel looks like paint—it comes in a paint can—because it is paint but with the added benefit of real stainless steel flakes. The folks at the DIY Network provide awesome step-by-step instructions on how to use Liquid Stainless Steel to transform many items in your home, so I won’t try to replicate it here. Just click this link to their page to find out for yourself how easy it is. I used 3 coats of Liquid Stainless Steel to cover my ugly white wall oven plus two coats of clear Topcoat to give it some shine. 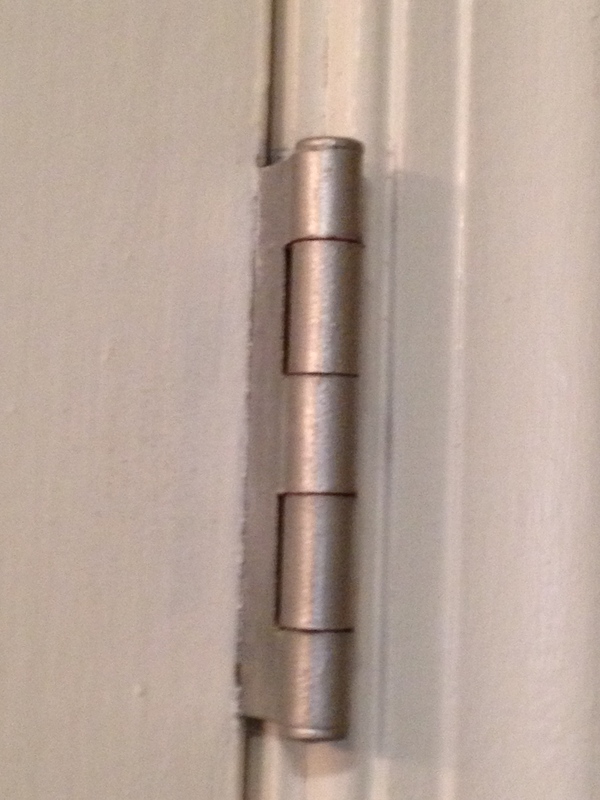 I also used Liquid Stainless Steel to transform my old, rusty door hinges. They look brand new and took about 15 minutes to paint. 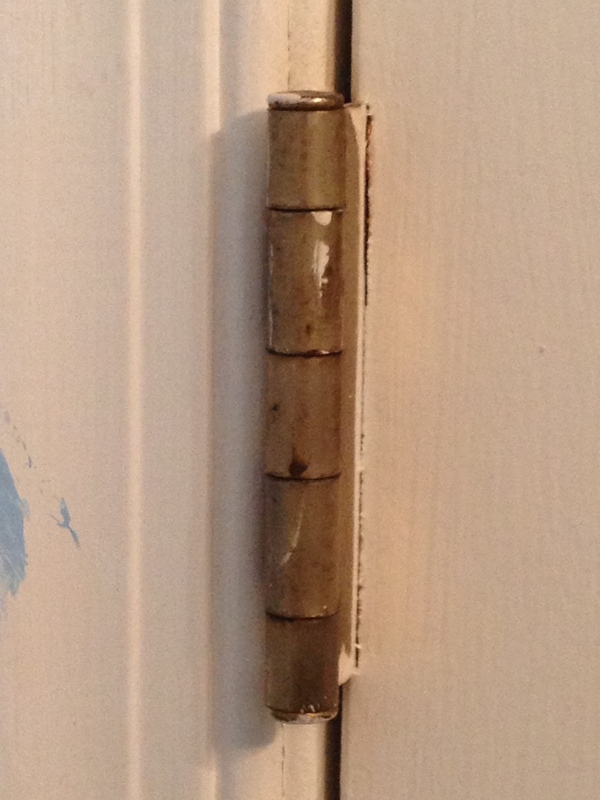 I’ve pretty much become a mad woman racing around the house with my sponge brush, painting every door hinge in sight. The instant gratification is like a drug. If you’re a DIY-er, you know what I mean…. 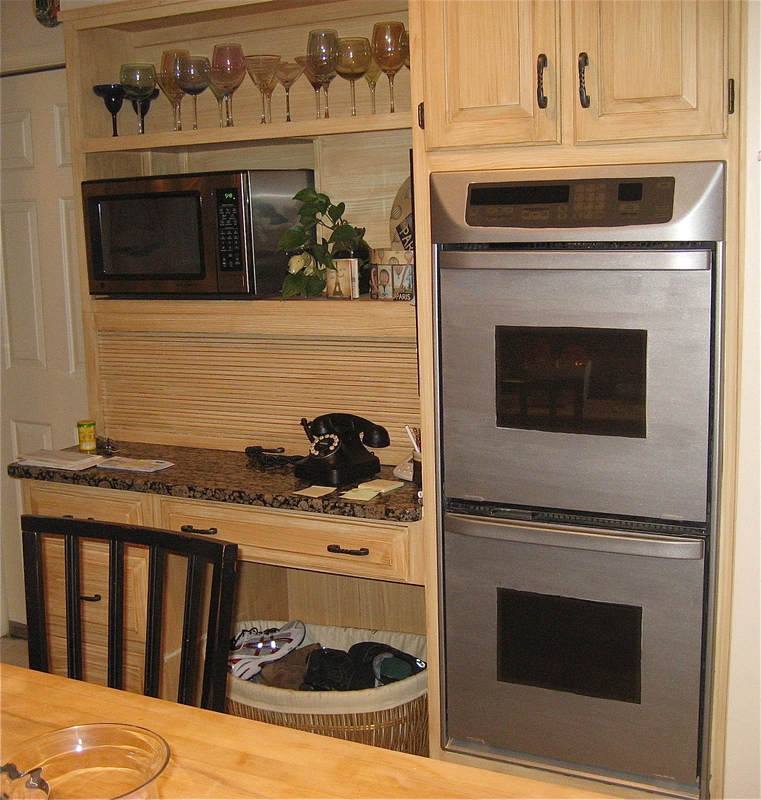 I did not know about Liquid Stainless Steel until reading your post, Carol…great idea! Thanks Susan–it was quite a revelation to me too. I have plenty left over if you ever need something transformed! How did you darken your control panel and oven glass ? Dear Carol, I saw the static cling film on Thomas’ website … it says $9 for a 12″x36″ portion, with $10.82 as the cheapest shipping. Blah! What I’m wondering is, do you think it is a special, heat-resistant film, or do you think it is the exact same window film you can get at Home Depot? 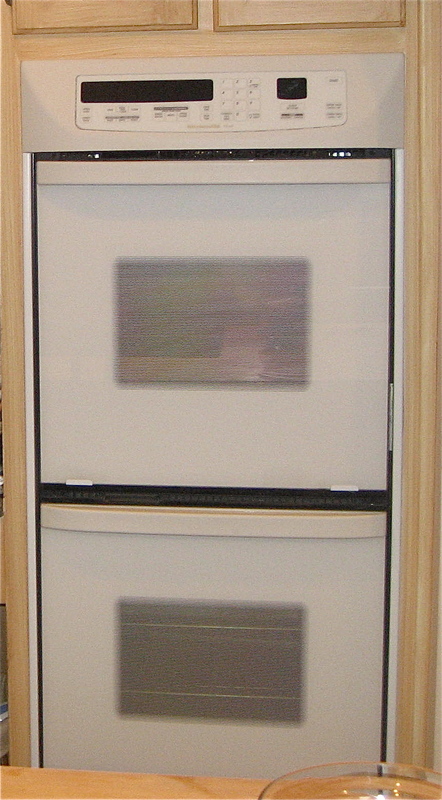 When I went to Home Depot, the man acted like their tinted film was not made to withstand heat (like on an oven or dishwasher) … what do you think? And how far does 12″x36′ really go? 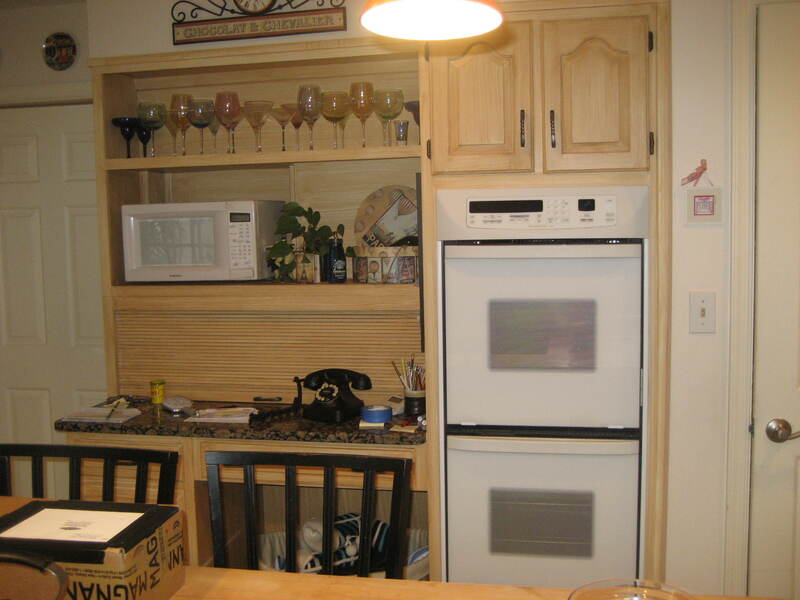 Would it cove an oven panel, dishwasher panel, and microwave panel? Just seems small to me. I checked the Thomas’s website again, and I think your non-magnetic appliances will be fine. My oven was glass front and I did not prep it at all. Just painted right over it with the stainless steel paint. I’m glad you’re open to the possibilities….you can use it on just about anything. Let me know what you transform! The link for the cling film is dead. Can you, please, let me know the name of the product.? Also, how is the finish holding up so far? Hello how did you do it with number panels they still show the numbers but now appear black? Hi! I found your article through a google search because I’m looking into doing this exact project. May I ask, how did you do the glass doors? Is the paint just on the outside directly on the glass? And, did you need to sand the plastic parts first? Also, looks like this article is a few years old, may I also ask how it has held up to regular use? Thanks! !